Dash – this is a part of our ( WATConsult DASH ) solution stack that can track a Paid, Owned & Earned metrics of all Integrated Digital Services we offer to a brand on one single Dashboard. This service is targeted to everyone who uses data for driving brand and business decision. With data marketing increasing, it is necessary to understand the Brand Track/ROI too. 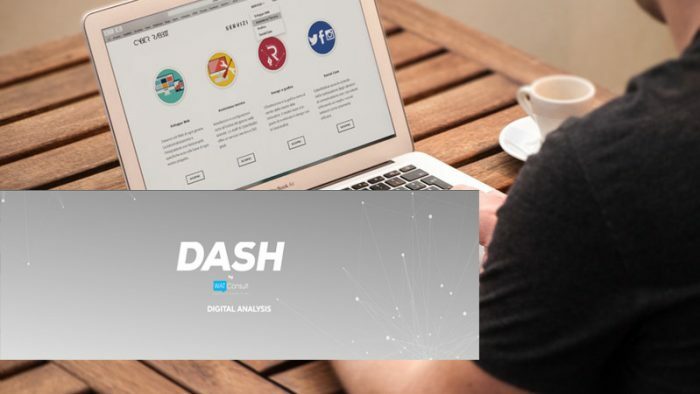 DASH will help brands and clients in taking better campaign decisions on the go. We realized that the beauty of digital lies in data and thereby taking quick decisions. And turned this insight into a solution. Now clients can view their campaigns process anytime, across multiple platforms. Briefly, explain what are your views about social media. Keeping it aligned with your business will be good. Share how you have grown since you started up. Both as a team and your consumer base as well. Our growth story is truly remarkable. We started out as a 2 member team all the way back in 2007. Since then we have grown to 400 employees across 3 locations in India. Our biggest challenge was to include all data and all platforms in one singular view with customized views across clients. After a lot of brainstormed we got together with a clear direction of how we want to build the product and that’s how we started DASH.